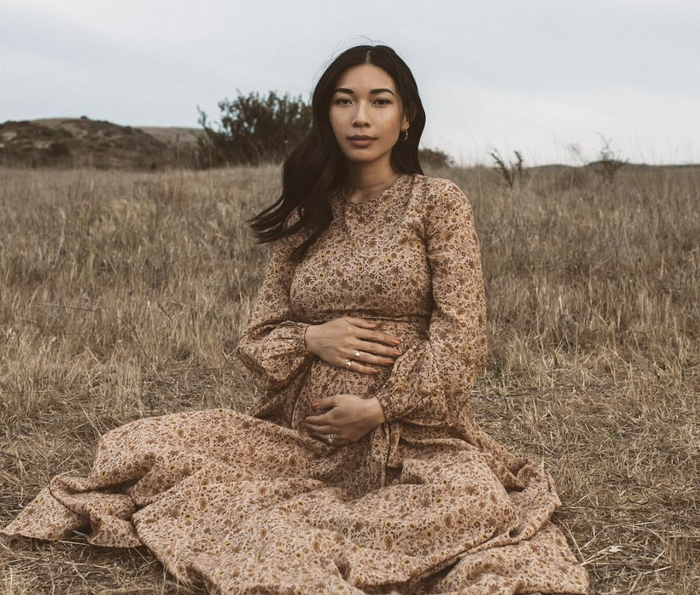 While expecting a child comes with occasional stress and discomfort, planning your maternity outfits shouldn’t be part of that. As you consider your growing bump during this special and unique time, it’s easy to feel at a loss for what to wear—especially when your regular clothes don’t seem to fit the way you want them to. Luckily, with the help of some fashionable women who have already gone through the process, you don’t have to compromise your personal style. And if you’re really determined, you can still wear your everyday clothes during pregnancy. To show you what we mean (and fill you with inspiration), we gathered the coolest outfits worn by expecting mothers. Check them all out below. Style Tip: You can’t go wrong wearing a pair of comfortable trousers and a crewneck sweater. Everyone needs a crewneck sweater. A pair of pants to fit your growing belly. Style Tip: A pretty floral dress will always look good. Be sure to go up a few sizes to accommodate your bump! This will always look good. Style Tip: A jersey-cotton dress will feel like one of the best things during pregnancy. Dress it up with a pair of comfortable heels and a blazer. Wear this for everyday occasions. Hands down, these are some of the most comfortable shoes. Style Tip: A pair of cool overalls will give you and your bump extra cool points. Wear this before, during and after your pregnancy. You’ll wear these every day. Style Tip: Go for an extra-comfortable ensemble and wear a hoodie with a teddy coat. Style Tip: A head-to-toe knitwear ensemble has the idea of comfort written all over it. Leave it to The Row to make a beautiful sleeveless turtleneck. You’ll want to live in these. Style Tip: For an easy outfit, opt for a pair of leggings and an oversize cardigan. Brighten up your days with this. Style Tip: A sleek silk blouse and a floral skirt will always look good. You’ll get so many compliments on this skirt. Style Tip: Opt for a skirt that can be unbuttoned or zipped at the top for your growing up, and wear an oversize sweater to cover it up. Without a doubt, you’ll handle your pregnancy in sheer style.